Yet another heated debate between Meghan McCain and Joy Behar of The View is making headlines this week. Tempers unsurprisingly began to flare between the longtime co-hosts during a political discussion in an episode of The View, which aired on Tuesday, April 2, 2019. 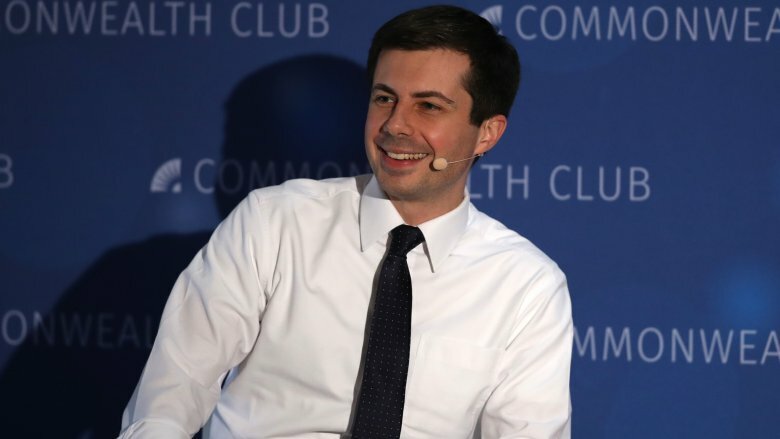 While kicking off the segment in question, comedian-actress Behar said, "Pete Buttigieg is quickly becoming the candidate to watch. His popularity is skyrocketing." Readers may already be aware that Democrat Pete Buttigieg, the 37-year-old Mayor of South Bend, Ind., hopes to make history and become the youngest and first openly gay president of the United States in the 2020 election. Since his own appearances on The View this past January and again in late March, the Democratic party's latest rising star has become, as Vox put it, "A surprisingly serious contender in the 2020 Democratic primary race." Buttigieg's campaign has already raised over $7 million. For her part, Behar, 76, went on to refer to a recent poll conducted by NBC and The Wall Street Journal, which revealed that most American voters would "have no problem with a gay candidate." Noting "that's great," the outspoken liberal went on to ask, "But are they ready for a gay president?" The question elicited cheers and applause from the in-studio audience, while the panelists themselves, whose views notably range across the political spectrum, went on to speak highly of Buttigieg's politics and character in contrast with the increasingly divisive sociopolitical climate amid President Donald Trump's administration. McCain, who's the daughter of the late U.S. Senator John McCain, went on to comment on this stat itself, saying, "It's not nearly as taboo as I think maybe old adages may have thought." However, the like-minded tone of this segment unfortunately took a turn when McCain moved on to some of the poll's other findings, which resulted in her and Behar's combative exchange. "What I also found fascinating — at the very, very, very bottom — only 25 percent of Americans are comfortable with a socialist becoming president," McCain said. At this, Behar replied, "When they realize what that means, they'll come around." After McCain hit back with, "People are smart, okay?" Behar responded, "So am I." "So am I! So am I! You disagree that I'm smart?" McCain snapped, before Behar explained, "No, I disagree with the idea that socialism is a bad thing in the way they're describing it." McCain went on to roll her eyes and referenced the show's usual moderator, saying in part, "This is so ridiculous. I miss Whoopi when she's not here." Yikes. 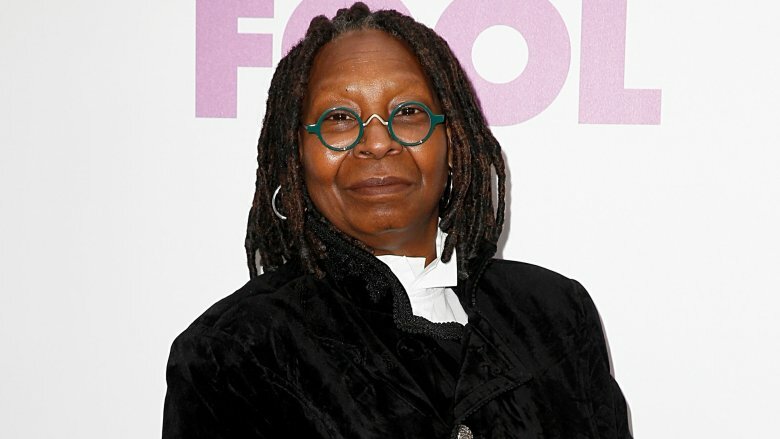 Readers may already be aware that the duo's longtime co-host, multi-hyphenate Whoopi Goldberg, had been noticeably absent from the daytime talk show in recent months due to a near-fatal battle with pneumonia. As Nicki Swift previously reported, the 63-year-old comedian-actress sent in a candid video message on March 8, 2019, to share a health update with her fans. "So here's what happened: I had pneumonia and I was septic. Pneumonia in both lungs, which meant there was fluid, there was all kinds of stuff going on," Goldberg revealed at the time, adding, "Yes, I came very, very close to leaving the Earth. Good news, I didn't." Goldberg made her highly-anticipated return to The View a week later (via The Hollywood Reporter). However, she notably did not attend this Tuesday's taping. While concluding The View's latest political debate, McCain told Behar, "I'm just trying to explain to you the other side, and why he's a great candidate, and why democratic socialists could be leading you towards … Trump getting re-elected. But instead, I'm told that I don't understand what democratic socialism is. I assure you, Joy, I do." However, if there was any confusion on the matter, perhaps the ladies of The View will invite freshman congresswoman Alexandria Ocasio-Cortez back onto the show to help clear the air. The 29-year-old progressive New York representative, who's a self-described Democratic socialist, previously appeared on the show last June. 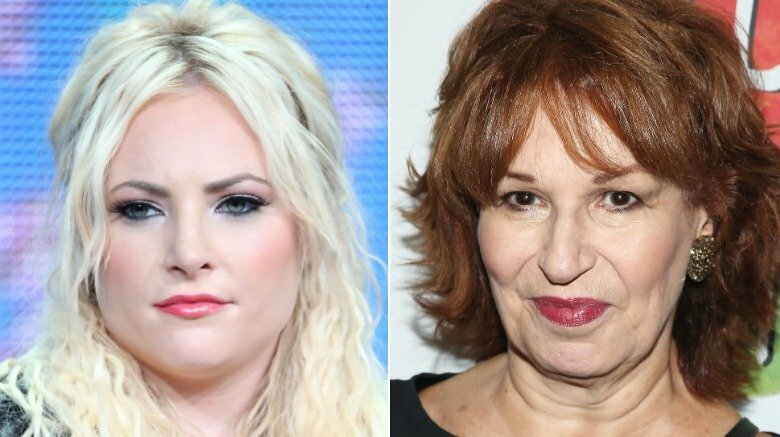 Of course, this wasn't the first time Meghan McCain and Joy Behar have butted heads either on or off camera since the former joined The View back in 2017. In mid-March 2019, the co-hosts argued over legacy admissions while discussing the shocking college admissions bribery scandal. Given their history of battling it out over serious issues on the show, we doubt it'll be the last.